Fantastic Opportunity on This Affordable Price Range in a Center of Residential Neighborhood of Cit Rancho Cucamonga. Location! Location! Location! 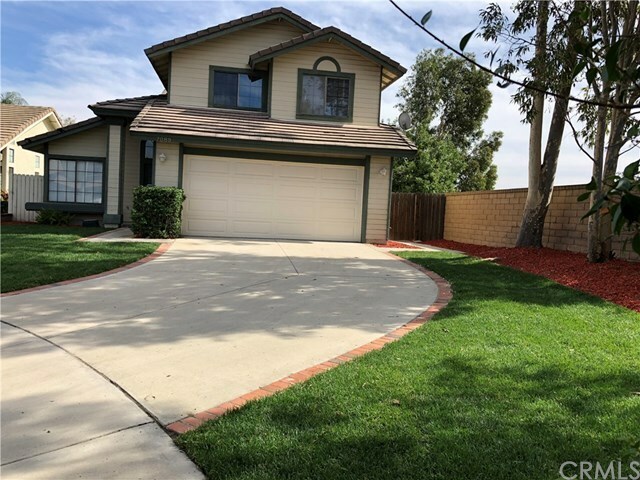 3 Bedrooms, 2.5 Baths 2 Story Home with Mountains View and City Lights View, Locates at the End of Cal-De-Sac Location in One of Great Locations of Rancho Cucamonga Residential Neighborhood. Close to Elementary School, Central Park, Victoria Shopping Malls. Laminated Wood Flooring in Living Room, Formal Dinning Room and Family Room. Brand New Remodeled Kitchen as Features of Brand New Cabinets/Quartz Counter Tops/ Stove/ Dishwasher/Microwave Stainless Appliances/Ceiling Fan and Can Lights. New Tile Flooring in Bath Rooms. Freshly Interior New Painted. New Lawn in Both of Front and Back Yards. The whole roof is been Completely Taken Up, Most Tile Replaced & All New 30 LB Felt Paper, (2) Layers, New Flashings, Metal, etc With 7 Years Warranty on Workmanship from 1/30/2019. Termite Repair Has Been Down and Cleared. Larger Back Yard for Kid's Playing Area or Family Outdoor Activities. No HOA. 2 Car Garage with a Longer Driveway. No South Side Neighbor. Close to Schools, Shopping, Central Park, Victoria Garden Malls, Ontario Mall and International Ontario Airport. Minutes away to access freeway 210, 15 and 10. Hurry, Won't Last! Directions: W/ Millken, N/ Baseline, I/O Fairmont Way W.